Brilliant, high-key color, textured surfaces, and the spatial and formal relationship of forms are crucial components of Jessica Stockholder's work. 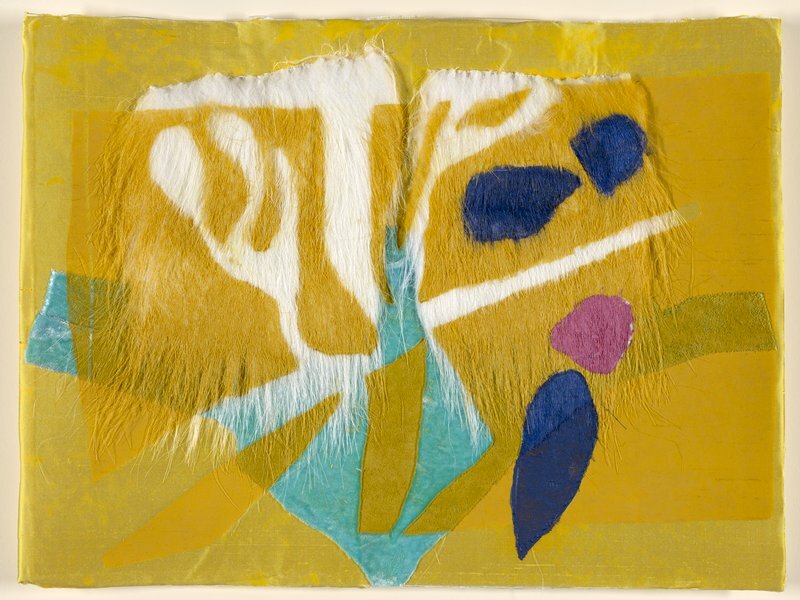 Her fascination with color, assemblage, and spatial interactions is apparent in this mixed media print, a lively intersection of layered geometric shapes and white plant-like forms. Fake yellow fur and swatches of cloth add to the work’s unusual and ambiguous formal and material characteristics.